October 12, 2018 6:04 pm. Catch Me has posted a record in winning the Gimcrack Stakes for two-year-old fillies at Randwick. 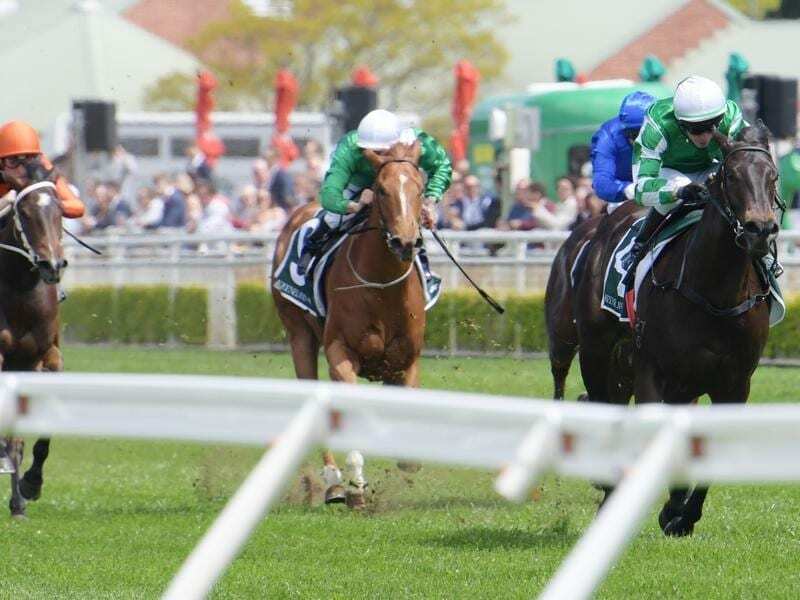 Catch Me has broken the race record in an impressive introduction to racing in the Group Three Gimcrack Stakes for two-year-old fillies at Randwick. A $625,000 yearling from this year’s Easter Sale in Sydney, the daughter of I Am Invincible out of Captivating Claire defied a wide run in Saturday’s 1000m race to surge clear in the straight. In beating the Clarry Conners-trained Diddles ($4.80 fav) by 2-3/4-lengths in Sydney’s first juvenile race of the season, Catch Me ($5) stopped the clock at 56.99 seconds. The time bettered the previous race record of 57.41 seconds set by Defiant Dame eight years ago. The winner’s Peter and Paul Snowden-trained stablemate Mayaaseh ($5) was another half-length away third. “She’s obviously a filly with good potential,” Peter Snowden said of Catch Me. “I’ll definitely put her out now. Snowden was confident Catch Me would run well but was concerned about her deep barrier draw and jockey Kerrin McEvoy was forced to race wide throughout. “I gave Kerrin the option to slot in and he tried that but was still six deep not getting much cover,” Snowden said. McEvoy said it was a great start to Catch Me’s career. “She’s above average that’s for sure and she’s only going to get better,” McEvoy said. Conners said Diddles would be aimed at the Magic Millions 2YO Classic in January, a race her dam Mimi Lebrock won in 2007.